Want glowing, clear skin? Look no further! 1. 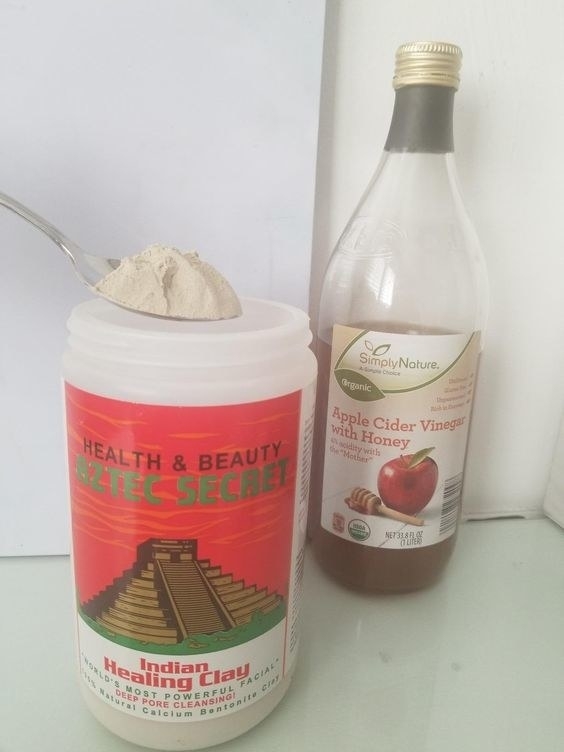 Aztec Secret Indian Healing Clay isn't really a secret anymore, but it *is* a life-changing mask that pulsates the gunk right out of your deeply-clogged pores to reveal the clearer skin that's been lying underneath all along — acne, meet your worst nightmare. 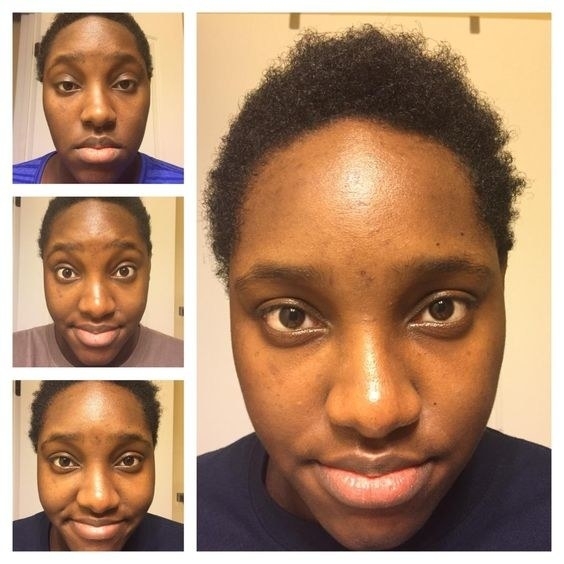 Read our full write-up on this magical clay mask to learn more! 2. 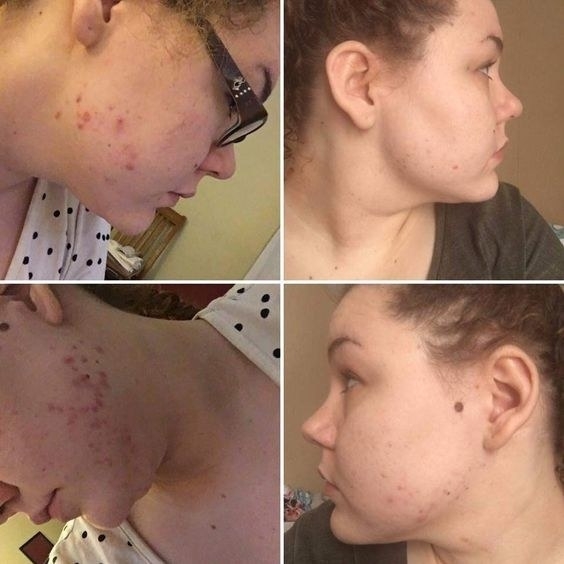 Cosrx Acne Pimple Master Patches totally live up to their acne-flattening hype — their hydrolloid dressing speeds up the healing process by covering your breakout with a protective layer (so it doesn't come into contact with bacteria or worse, your fingers), reducing redness and inflammation, and sucking up/absorbing that damn pus. Apply when your pimple is ~ripe~ and white pus is visible. 3. 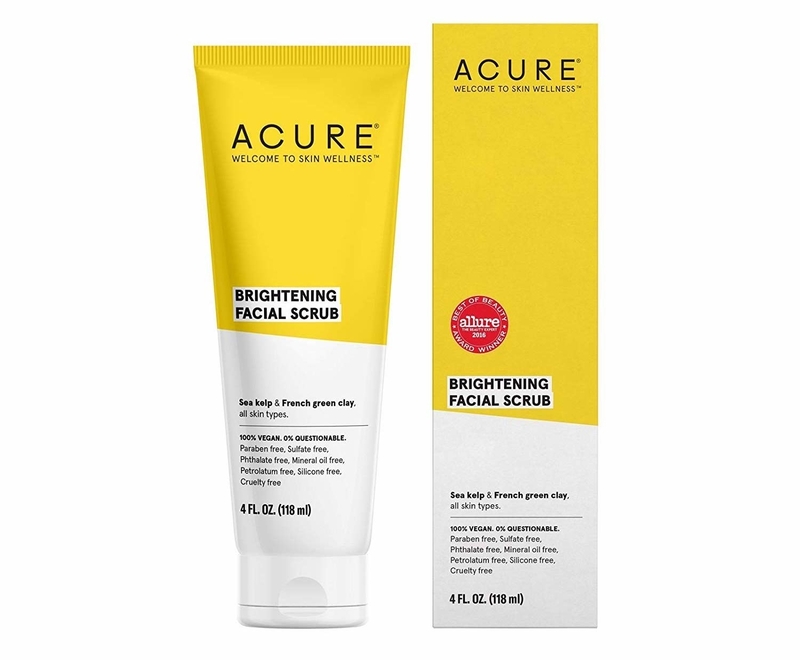 Acure Brightening Facial Scrub sweeps away excess oil, dirt, and the works with organic sea kelp, lemon, and French green clay — all while promoting cell regeneration, so you'll be on your way to a brighter visage in no time. Get it from Amazon for $9.06 (cruelty-free, Leaping Bunny and PETA certified). 4. La Roche-Posay Toleriane Hydrating Gentle Cleanser is a no-fuss daily face wash that helps your skin retain the moisture it needs, while still removing every bit of makeup and dirt — it's very dependable, as you can probably tell. Get it from Amazon for $14.99 (also available in a purifying version for normal to oily skin). 5. 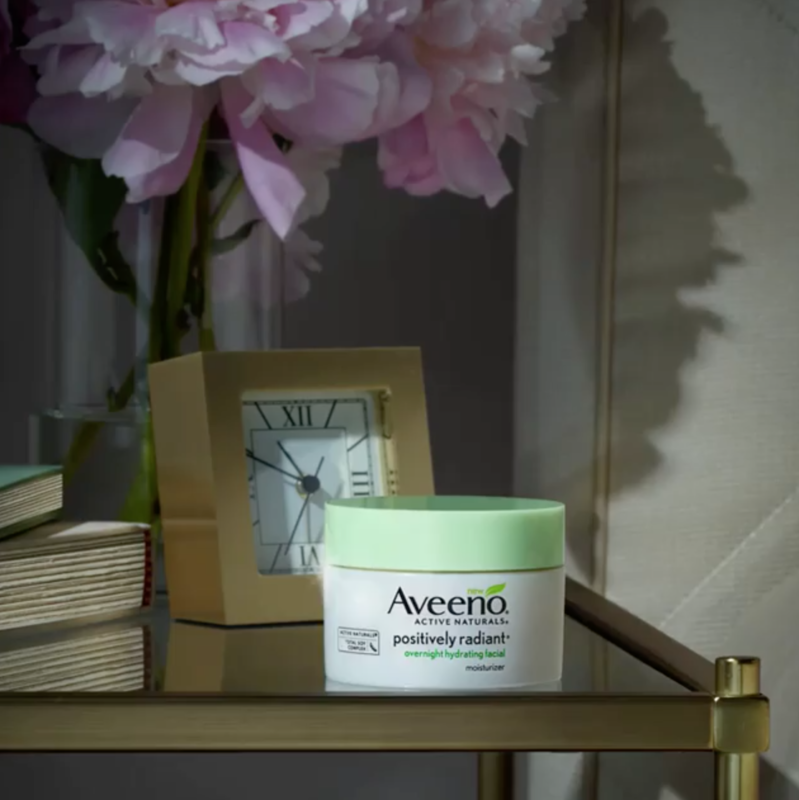 Aveeno Positively Radiant Overnight Hydrating Facial locks in moisture while you snooze and repairs skin cells with a safe-for-sensitive formula that's oil-free, non-comedogenic, and hypoallergenic — thanks to a soy complex and hyaluronic acid, you can wake up to supple, lit-from-within skin. 6. Jergens Wet Skin Moisturizer is basically *the* moisturizer for lazy people who don't actually like moisturizing — you apply while your skin is still wet and wait a few minutes for it to sink it. Quick, easy, and no mess...plus, no more crawling into bed sticky! Get it from Amazon for $6.84. 7. 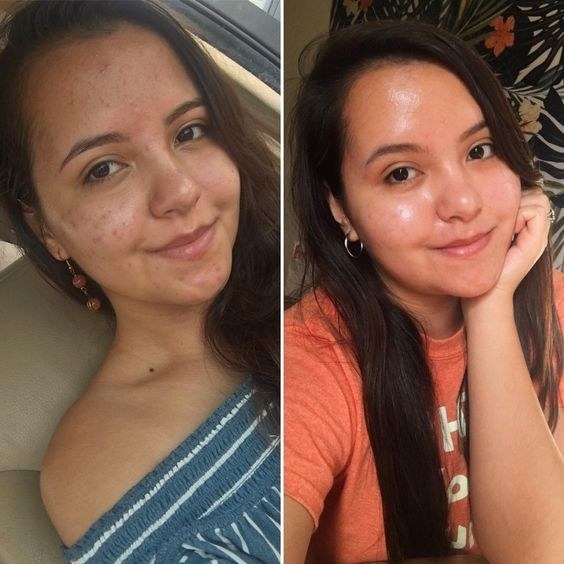 Bio-Oil fades away acne scars, surgery scars, stretch marks, sun burns, and helps deal with dermatitis and other skin conditions — it feels light, smooth AF, and not sticky, so basically just slather it all over! Read our full writeup on this oil to learn more! 8. Dr. Jart Tiger Grass Color Correcting Treatment SPF 30 turns from green to beige and masks redness/blemishes in a flash, all while also providing SPF 30 and a dust barrier to protect skin against environmental aggressors — what does your moisturizer do? For more deets, read a BuzzFeeder's full review to learn more (#10)! Get it from Amazon for $50.80 or Sephora for $18+ (available in two sizes). But wait! There are other products in the Cicapair line: Tiger Grass Cream, Tiger Grass Re.Pair Serum, Tiger Grass Camo Drops, and Tiger Grass Nightly Re.Pair Mask. 9. 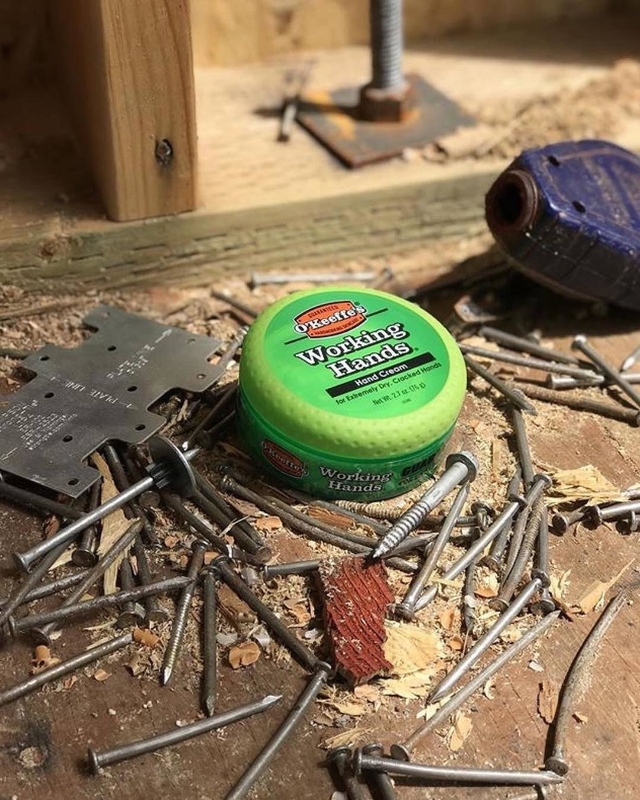 O'Keeffe's Working Hands Hand Cream repairs blisters, cracked skin, and whatever else your poor hands have been subjected to by boosting moisture levels and then ~sealing~ that same moisture in for dear life. 10. Innisfree Jeju Volcanic Pore Cleansing Foam uses real ~volcanic clusters~ to diminish excess oil and enlarged pores — hello to the deep clean our skin deserves (and needs)! 11. 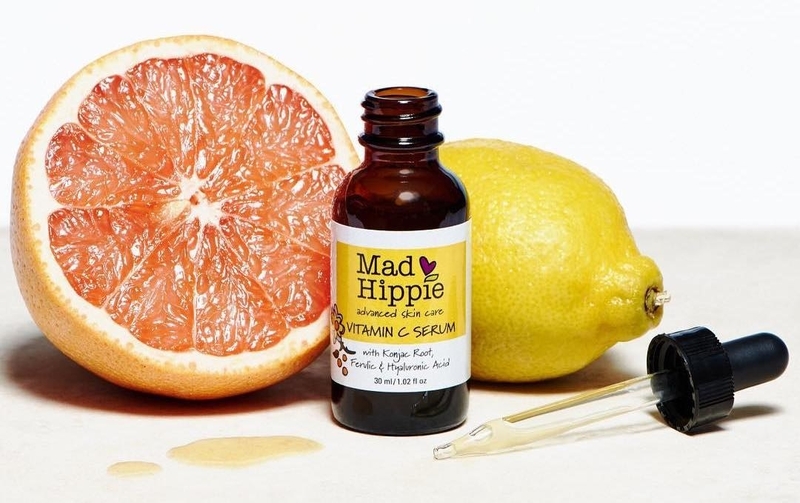 Mad Hippie Vitamin C Serum works amazingly on its own as a night treatment, but might even work better in conjunction with a moisturizer for maximum hydration to combat dry-as-a-desert skin. It's vegan, cruelty-free, and contains organic argan oil and pomegranate seed oil, as well as antioxidant extracts such as sea buckthorn berry and goji! Get it from Amazon for $27.19 (cruelty-free, PETA certified). 12. Paula's Choice Skin Perfecting 8% AHA Gel Exfoliant helps shed built-up layers of dead skin without any mess (you don't rinse it!) without feeling overly abrasive (it has a pH range of 3.5–3.9) — and it promotes firmer, clearer skin. Get it from Amazon for $29 (cruelty free, Leaping Bunny and PETA certified). 13. 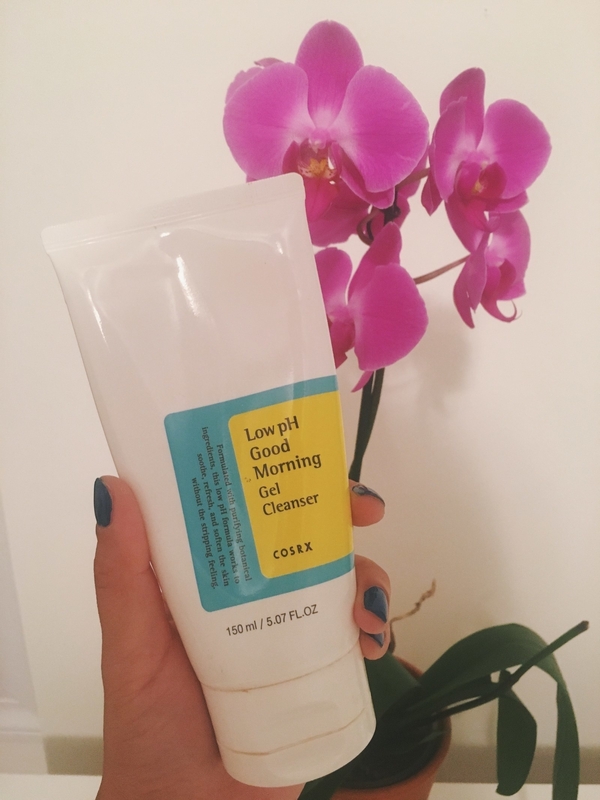 Cosrx Low pH Good Morning Gel Cleanser has a skin-friendly pH of 5 so it won't anger your already-sensitive skin — it does its job, removing all the dirt and gunk, without making your skin feel like it's been stripped of moisture. 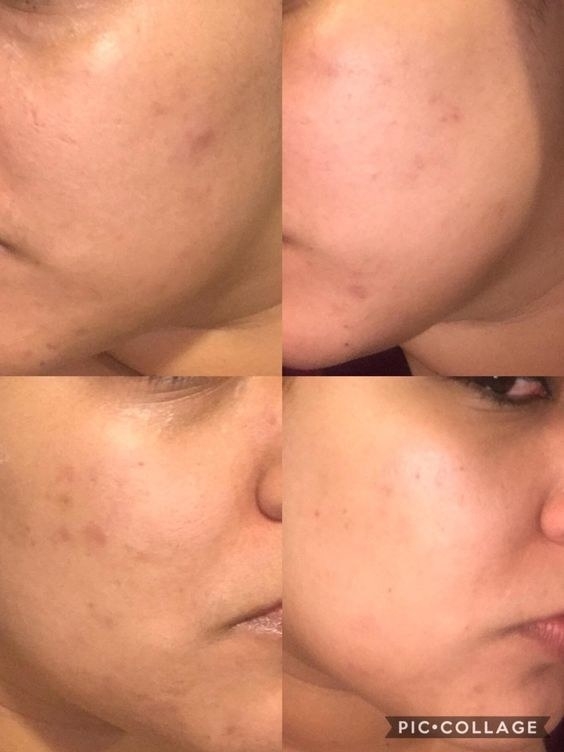 Read my full writeup "I Swear By This Highly-Rated Low pH Gel Cleanser To Clean Out My Pores" to learn more about why I love it so much! 14. SheaMoisture 100% Extra Virgin Coconut Oil is the multitasking beauty product you need in your arsenal — it removes makeup like a damn dream, helps with eczema, and wraps your skin in a blanket of nourishment. Get it from Amazon for $12.99 (cruelty-free, PETA certified). 15. 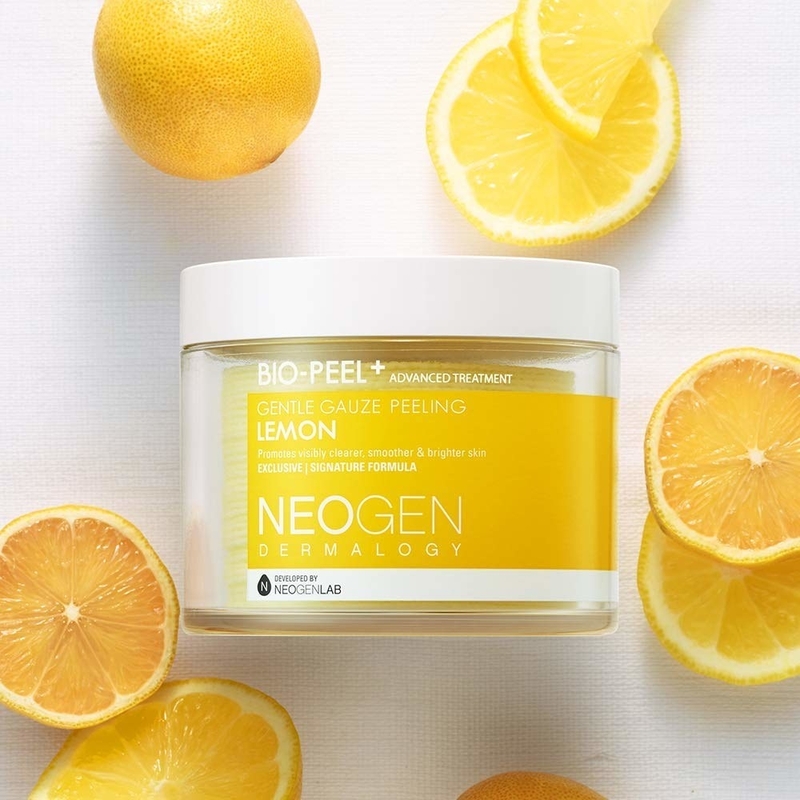 Neogen Bio Peel Gauze Peeling Lemon has triple-layered threading technology that provides mild chemical exfoliation to deep clean your pores and prevent free radical formation — and the lemon extract delivers a burst of Vitamin C for visibly brighter skin! Start with the textured side and then follow up with the softer, padded side. You can also totally cut your pads in half to make your supply last longer, since you might not need that much product anyways. Get a container of 30 from Amazon for $23+ (available in lemon, green tea, and wine; cruelty-free). 16. Mario Badescu Drying Lotion contains salicylic acid, sulfur, and calamine to spot treat and dry out pimples that have the dignity to show up to the party, which is your face — yeah, they're not invited, ok! 17. H2O+ Beauty Oasis Ultra Hydrating Cream quenches super dry, parched skin with a fast-absorbing water-gel proven that's clinically proven to double the moisture in your skin — plus, it's free of parabens, phthalates, and mineral oil. Get it from Amazon for $31.50. 18. Mario Badescu Facial Spray with Aloe, Chamomile and Rosewater is your skin's secret (or not-so-secret) pick-me-up whenever your face is feeling dry, irritated, dull, or tired — it also works as a great setting spray! Read my full review on this refreshing spray for more deets! Get it from Amazon for $7+, or get all three scents (rosewater, cucumber, and lavender) for $21. 19. 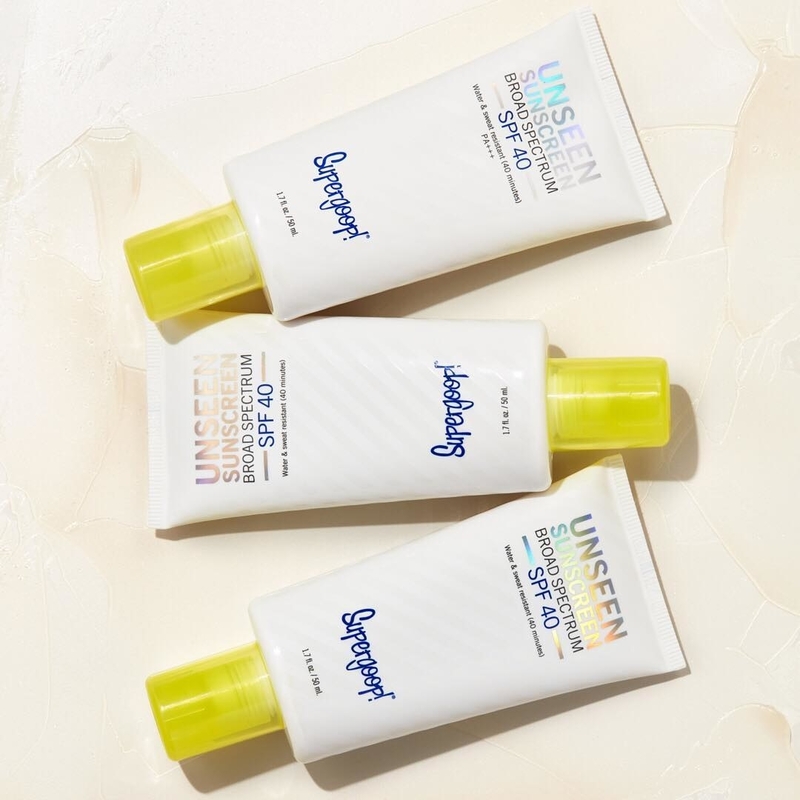 Supergoop Unseen Sunscreen Broad Spectrum SPF 40 makes putting on sunscreen less like a chore, and more like a skincare treat — it goes on weightless, colorless, scentless, and oil free for a velvety soft and matte finish that makes itself totally invisible but still adds the protection a sunscreen should. Get it from Sephora or Nordstrom for $32 (cruelty-free, Leaping Bunny and PETA certified). 20. Amorepacific Treatment Enzyme Peel is a powerful (or should we say powderful?) yet gentle exfoliator that uses natural papaya enzymes to break down dead surface skin cells to reveal smooth AF skin, while green tea extract and allantoin help soothe skin. 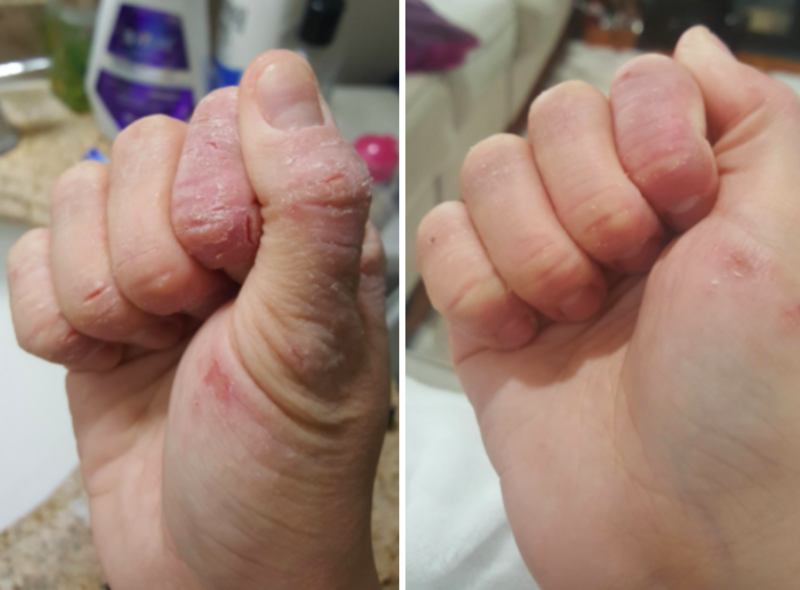 Just start with dry hands, dispense a pre-measured dose of powder, add a bit of water, work into a lather, and then massage onto your face before rinsing everything off! 21. 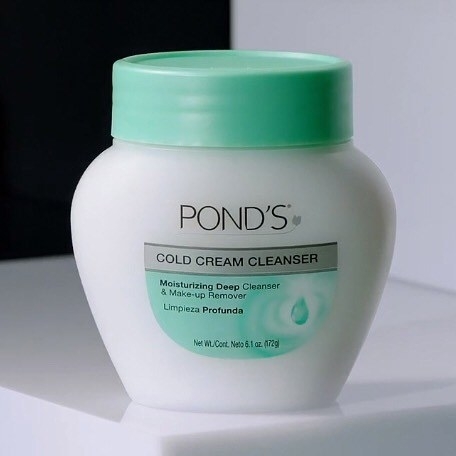 Pond’s Cold Cream Cleansing Balm or Cold Cream Cleanser is the OG makeup remover — they're 50% moisturizer, so they leave your skin feeling clean but also extremely hydrated. Win-win. Get the Cleansing Balm from Target, or Walmart for $9.99 or the original Cold Cream Cleanser from Amazon for $6.48+. 22. Etude House Moistfull Collagen Emulsion absorbs quickly, doesn't clog pores, and leaves your skin feeling extra plump and bouncy — it's the perfect pre-moisturizer step to seal in extra hydration whenever your skin needs it! 24. 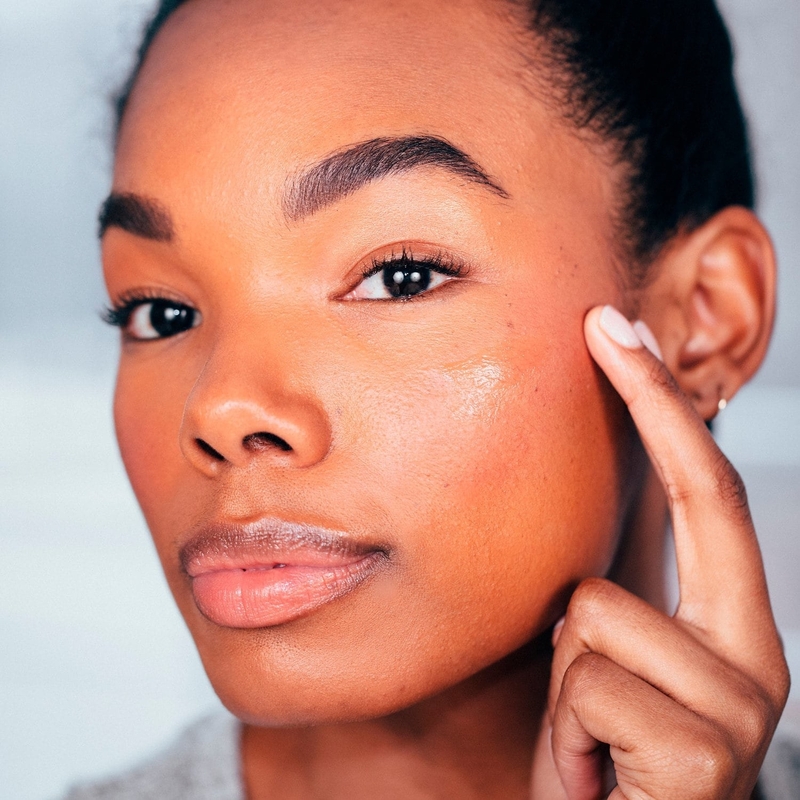 Yes to Tomatoes Blemish Clearing Facial Wipes one-ups your average makeup wipes and treat your face with a dose of salicylic acid to keep skin clear from blemishes and redness. Get one pack (30 tissues) from Ulta for $5.99. 25. Glow Recipe Watermelon Glow Sleeping Mask boosts your skin's radiance overnight with a magical combination of soothing watermelon extract, hydrating hyaluronic acid, and super gentle AHAs — time to wake up looking like a baby! Read my full review of this heavenly-smelling sleeping mask (and its matching, but more lightweight, moisturizer!) for more deets (#8)! Get it from Sephora for $22+ (not certified, but their website states that they do not test on animals, nor do they curate brands who do). 26. Nature Republic Real Nature Sheet Masks target different skin concerns — like aloe for soothing, honey for radiance, etc —and smell like your very own facial farmer's market. Perfect excuses for a treat yourself night. Get a set of 10 from Amazon for $9.44. 27. Kiehl's Midnight Recovery Concentrate replenishes your skin like clockwork and lets you wake up to glowy skin that totally masks how little you've slept. Get it from Sephora or Kiehl's for $46. 28. The Body Shop Tea Tree Night Lotion is formulated with Community Fair Trade tea tree oil grown in the foothills of Mount Kenya and controls excess production of oil and sebum on blemish-prone skin. Get it from Amazon for $12 (cruelty-free, Leaping Bunny and PETA certified). 29. Neogen Real Ferment Micro Essence makes skin visibly more hydrated, plumper, and brighter with 93% naturally fermented ingredients — its fragrance-free formula contains 17% birch juice to add hydration and 9% rice extracts for that sweet, sweet illumination from within. This legit feels amazing when tapped/patted into your skin. I'll go with three or more layers usually! Get it from Soko Glam for $38. 30. Pixi Glow Tonic is an affordable fan favorite that exfoliates, brightens, and smoothes skin with lovely ingredients like aloe vera, ginseng, and botanical extracts. Get it from Target for $15 (3.4 oz) or Anthropologie for $29 (cruelty-free). 31. 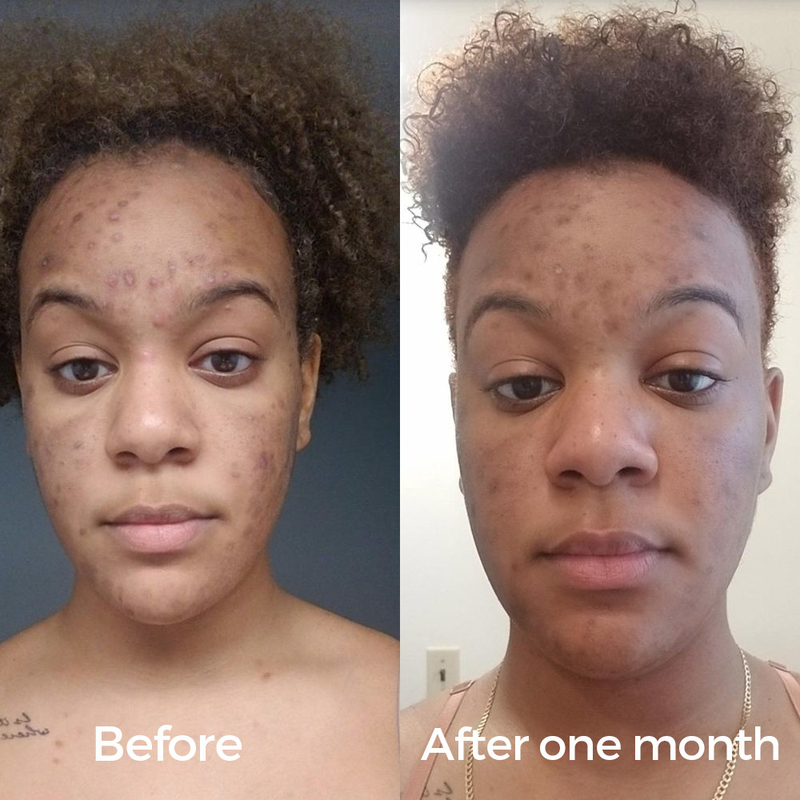 Dermalogica Age Smart BioLumin-C Serum has your back if you're looking for a product that'll reduce the appearance of fine lines, hyperpigmentation, and free radical damage — it's packed with vitamin C and hyaluronic acid, is lightweight, and melts right into the skin for the perfect daytime dose of radiance. Get it from Ulta or Dermstore for $87 (cruelty-free, Leaping Bunny and PETA certified). 32. Son & Park Beauty Water literally does it all, from removing makeup, post-cleansing toning, to gentle exfoliation — it'll be your go-to for just about all of your skincare needs. 33. Drunk Elephant C-Firma Day Serum and T.L.C. 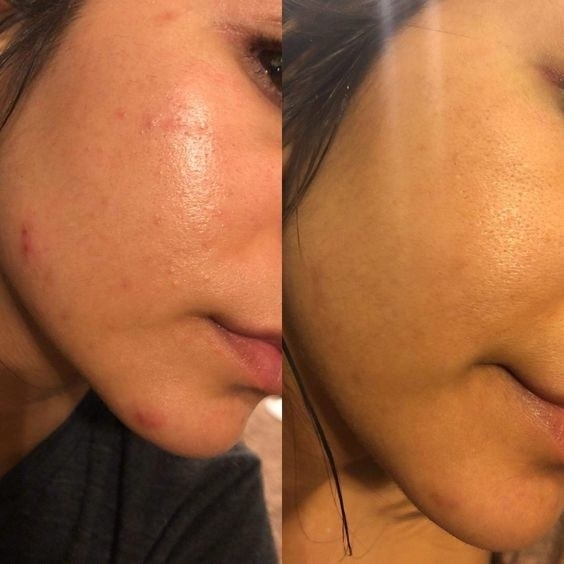 Framboos Glycolic Night Serum both have pHs at or less than 4, so their formulas are both potent *and* gentle and work overtime to protect your skin against environmental stressors and use AHAs and BHAs to repair dull or clogged skin, respectively.